You are here: Home / Blog / tools / What is the Role of a CRM System in Your Sales Cycle? The sales cycle is a process your company goes through when dealing with a customer. It includes all activities related to closing the sale. Different companies include different steps and activities in their sales cycle, depending on how they define it. When you talk with salespeople from other organizations, you may notice they manage prospects in a different way than you are used to. And it’s not uncommon for different methods & processes to be used within the one company. It’s safe to say that no two companies have the exact same sales cycle. While there is no single definition for it, some experts see the sales cycle as a timeframe → from a very first point of contact with a customer to closing a deal. Others see it as the time it takes to bring a qualified lead to close. Nevertheless, it’s not about the definition, but about the efficiency of your sales cycle and the sales processes it embraces. Keeping the track of your sales cycle gives you a basic understanding of which activities in your sales process are reasonable and efficient. In addition, continuous evaluation of the sales cycle across the industry can prove the superiority (or inferiority), of your techniques when compared to the competition. It’s critical to unify your sales cycle across your company and to make sure your team members are on the same page here. Sales automation is here to help you out. After all, chaos isn’t the way to promote the stable, repeatable and measurable growth of a successful organization. When you’re not in charge, you can’t control your team or predict the results. That’s why, if you haven’t already, you need to go ahead and make changes. Here we will focus on the fundamental role a CRM has in your sales cycle. Oftentimes, during one sales process, multiple departments may engage with your prospects. And because you aren’t always capable of keeping eyes on all deals and arrangements, your CRM will play a big part of keeping you informed. Irrespective of which stage your prospect is at in your sales funnel (whether it’s before or after the purchase), it’s necessary to record the details of all communication with a customer. This way, you know everything about a deal and can easily recall specific threads when they are needed for further negotiations. Of course, first you should define the steps in your sales cycle and indicate which steps should be pulled into the CRM. From there, you can simply monitor how your people input information into the system. As a result, reviewing your pipeline gets easier – you just log into the dashboard, go to the customer profile, and see how the story develops from the very beginning to the present moment. Without a clear division of responsibilities and requirements and tasks assignment clearly articulated to your representatives, it’s hard to expect the job to get done right. In fact, without responsibility there is no accountability, and this can hinder progress. Your sales team may be confused, and ultimately less efficient at sealing deals. Fortunately, a smart CRM system helps you establish roles and execute responsibilities in your sales department. A CRM makes your sales process, and the whole sales cycle easier, more predictable and more measurable. You can easily assign tasks to your co-workers and monitor or review their performance within a set time period, seeing how (or indeed if ), they complete their tasks. When everyone understands their role and responsibilities, the overall performance of the whole sales team grows. This brings another value to the table. Your prospect, the buyer, is much happier. In fact, your customers crave fast, efficient service, and that’s what your CRM promotes. Optimizing your sales process is a never-ending job. A good sales process is one that gets adjusted and tweaked with every deal, no matter whether it’s won or lost. Add improvements to your process anytime you learn something new about your clients’ behavior, even when it concerns a prospect who left you. How do your prospects consume your content? What kind of knowledge do they actually need? Who are the real decision makers in your sales process? What product specs or features affect the buyer’s decision making process? Do you direct your communication at right buyer persona? Perhaps there are more buyer personas than you expected. Consequently, you should ask yourself these and similar questions, as they’ll help you efficiently recognize successful (and unsuccessful) patterns, helping you to optimize your sales process and focus the whole sales cycle on your customers and their needs. A smart CRM system provides you with technology to define a consistent sales process. For instance, Livespace lets you easily customize steps that align the way you sell with the way your customers buy. Create your sales process(es) with ease and assign them to specific contacts or companies. Try it and see how it works in practice. 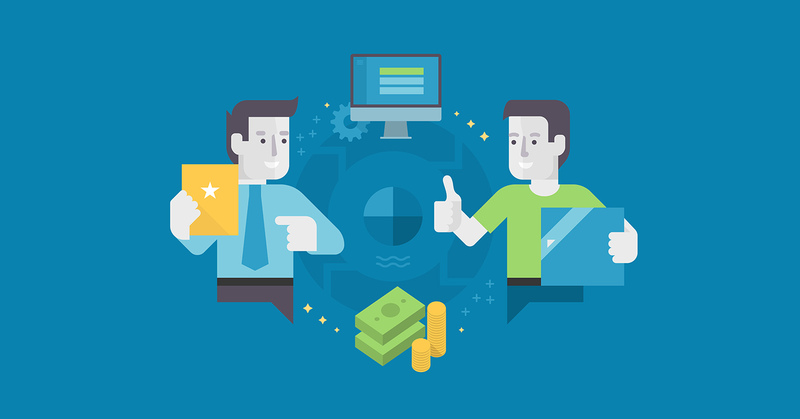 These days, a CRM is the foundation of any sales cycle. It lets you keep all customer related information, and the activities of your sales reps, in one place. This gives you, as a manager, the power to have an overview of how a specific deal is going and where the bottlenecks are. Most importantly, a CRM makes everything beautifully organized, so it shortens your sales cycle. We recommend doing your homework when choosing a CRM. Find a CRM that works for you and your team. Make sure it’s easy to set up, is customizable and can monitor and streamline your sales activities so that you can close deals faster. Livespace could be something you’re looking for. Not sure? Why not contact us to discuss how / where we may be of help. https://www.livespace.io/wp-content/uploads/2015/10/ls-logo-white1.png 0 0 Kasia Perzyńska https://www.livespace.io/wp-content/uploads/2015/10/ls-logo-white1.png Kasia Perzyńska2018-04-20 11:30:382018-12-27 20:54:54What is the Role of a CRM System in Your Sales Cycle?